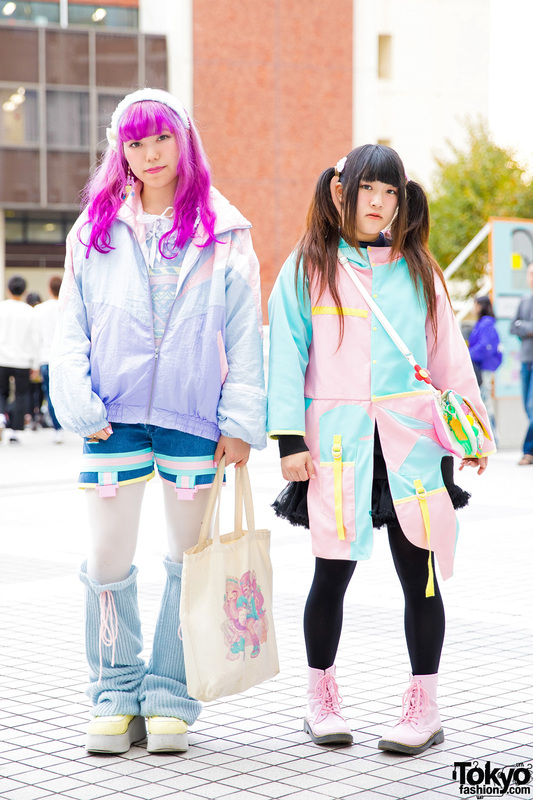 Harajuku girl in stylish ensemble with grey blazer, a black dress over a lace turtleneck, black pointy booties, and a sling bag. 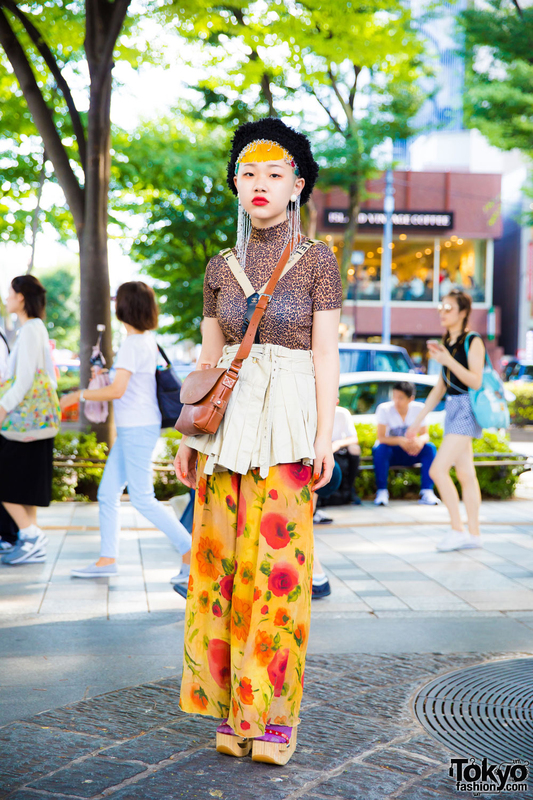 Harajuku girl in all over mixed print vintage fashion w/ leopard print top, skirt over floral print pants, wooden platform sandals, and accessories. 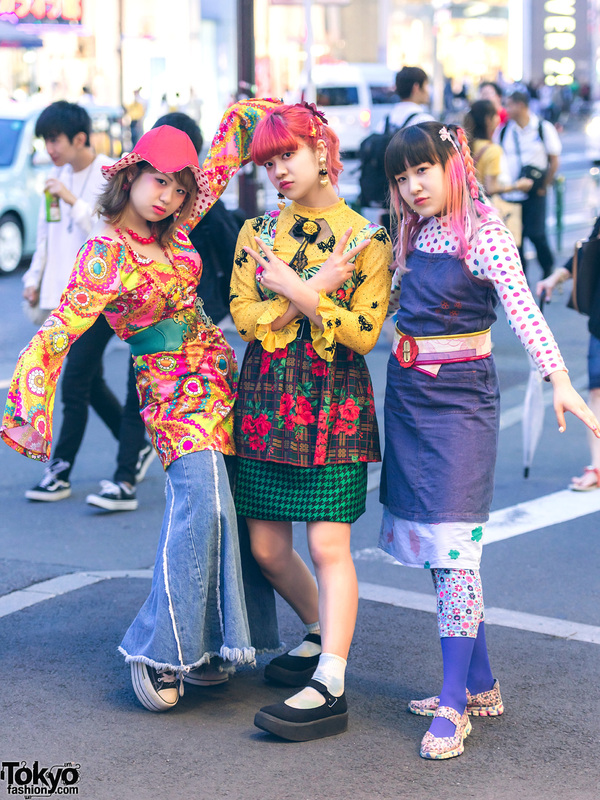 Harajuku beauty school students in twinning outfits with printed cropped tops and matching skirts, pink socks and platform sandals.